By now you and the rest of the world have heard the news that Steve Jobs died. Once a guy who returned soda bottles to buy food with nickel deposits, this is a man whose Apple salary was $1 a year, or as he put it, he earned 50¢ for showing up at work and 50¢ based on performance. This is the brother of author Mona Simpson. This is a guy whose customers (synonymous with fans) left mounds of apples at his home, each with a single bite out of them. One of the cleverest headlines, The Guardian, I think, read 'Steve Jobs, Computer Icon'. Syria, homeland of Jobs' father, is in rebellion but students took note of their fatherland's favorite son. They were hardly alone; from Asia to Europe, people reacted to Jobs' death as they might a superstar's. An amazing aspect of the Mac was that I was able to sit down in France or Germany or Iceland and use one of their Macintoshes. I might not be able to read a Norse menu, but if I let my hands go by feel, I could use the machine. Europe became important to Steve Jobs only partly because of the tremendous support of NeXT from developers like Jean-François Groff, but also from the early Web development that came out of Cern. Minutes before my article was due, my wonderful friend Lela sent me this Jobs history documented by a French writer. Through the mid 1970s, my personal computers were the size of SUVs and used more air conditioning than the average Italian village. 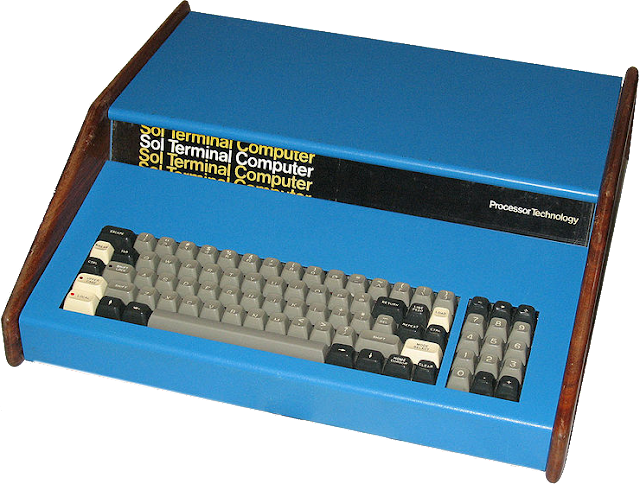 In 1975, MITS introduced the Altair, arguably the first personal computer. Shortly thereafter, I soldered together an IMSAI 8080 and later bought a Sol-20, both painted 'IBM blue'. The Sol had walnut side panels, supposedly obtained from the leavings of a gunstock manufacturer. 'Complete' systems meant you didn't need to solder the boards but often implied you still had to separately buy floppy drives, keyboards, and monitors. Aficionados pored over issues of Popular Electronics, Dr. Dobb's Journal, and Byte. College students tinkered including Paul Allen and Bill Gates, Steve Wozniak and Steve Jobs. They weren't executives then, they were amateur engineers you could chat up at trade shows. In 1977, I paid scant attention to the affordable, expandable, and easy to use Apple ][, but two years later a demonstration of Apple's Lisa caught my imagination. 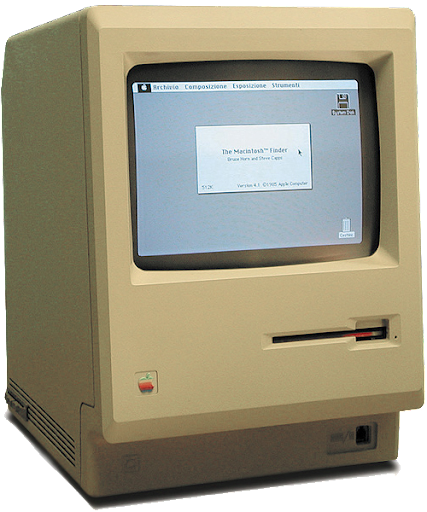 $10,000 proved too steep for most companies let alone personal users, but when the Macintosh rolled out in 1984, I plunked down money to buy a 'fat Mac', a computer I still have. In an office running two IBM mainframes, several DEC and other computers, the little Macintosh worked away, cranking out great-looking documentation with graphics and reference cards that were a pastiche of IBM's own. Since then I've bought few computers other than Macintosh. A Mac is not, as some claim, a Rolls-Royce or Lear Jet. To me, it's more like John Deere or DeWalt. It's a silicon workhorse and when I constantly use a tool, accuracy, reliability, and ease of use become desirable features. When my colleagues Dixon Hill and RT Lawton's lives depend upon a sidearm, price takes a distant second to reliability. The women who cut my hair use scissors priced between $200-300. Sure they could cut hair with a $20 or even a $2 pair of scissors, but precision and comfort are important to them. If they sell their well-kept scissors thirty years from now, they can still demand nearly what they paid for them. The same is true of the Mac and its famed aesthetics are a bonus. Even counting the Sculley era, Macs somehow manage not to look dated. Style enhanced function and we haven't touched upon Apple's innovation, like the current barely-there MacBook Air, one of the most beautifully designed machines ever. The PowerBook Duo was one of the cleverest subcompact notebooks ever, what today might be called a netbook: Return from a trip, close the Duo's cover, and slide it into the VCR-like slot of the DuoDock, which suddenly became a full-fledged desktop computer with monitor, keyboard, hard drives, math co-processor, ethernet, and everything else you expect on your desk. When Apple discontinued the Duo, the outcry was considerable. That was the first time I heard the term 'cult-like following' applied to people who wanted sensible computer products. These days, I spend inordinate hours pecking away at my keyboard, answering eMail, editing, writing and rewriting stories and articles like this one. The Mac helps me get the job done. Many admirers and fans expressed sadness, but I won't. My mother once exhorted me to dissuade my 86-year-old grandmother from taking a 'round-the-country bus tour. My mother argued a woman her age shouldn't attempt such a trip, that waiting rooms were cold, awful places, and that grandmother could die on such a trip. "But why not?" I said. "If she died, she'd die doing exactly what she wants to do." Like the crew of the Challenger, how many of us die living our dream? While people tweet 'iSad' around the world, I'm simply glad one man found a positive way to change the world. Nice, we watched Sunday Morning on CBS and they did a snippet that was very well done. Hooray for Steve Jobs,and thank you to him. And hooray for me as I have been trying to post here for a couple of weeks and today I am finally able to do so!! A new beginning. Hi Terrie! Hi Steve! We're glad you made it! Hey Terrie -- Good to have you here! Now we can start the party . . .
Leigh, nice write-up. For me personally, I've always been computer challenged, much less build one from parts. First computer was a Vic-20 I bought the kids. I stayed home one day on sick leave to play their Dragons and Dungeons Game and couldn't get past turning it on. Now the oldest boy is a Senior Director in Programming at CitiGroup. Paid off for him. My old AT&T 6300 probably cost 3 times what my current DELL does. For that old one I had to put in the floppy to load the program, take it out and insert another floppy in that same slot to write on with WordStar. I've been running to catch up ever since. RT, supposedly the computers get easier and more friendly, but that's only when they work. These days Windows and Macs look so much alike, they're hard to tell apart. I'm glad they paid off for your son! It took me a week to learn to use and love my Mac. I still have a PC that I let relatives use. I growl at the 'improvements' Microsoft made to Word. For years, everything could be found in the same place, but now they have the fancy interface and I can't find anything. Louis, I'm an old IBM guy, so it was doubly hard for me to turn my back on PCs, but a couple years ago I finally did it. My iMac does everything I want it to do, and more, and I absolutely love my iPad. I still feel like a traitor sometimes, but not enough to let it bother me. The first computer I ever encountered was my brother's Apple back in the late '80s. My first purchase was a little 48K Sinclair Spectrum, later grandly upgraded to 128K so I could play Scrabble. Oh, how far we have come. iGlad. When I was a kid, our living room seemed always to be awash in computer punch cards. 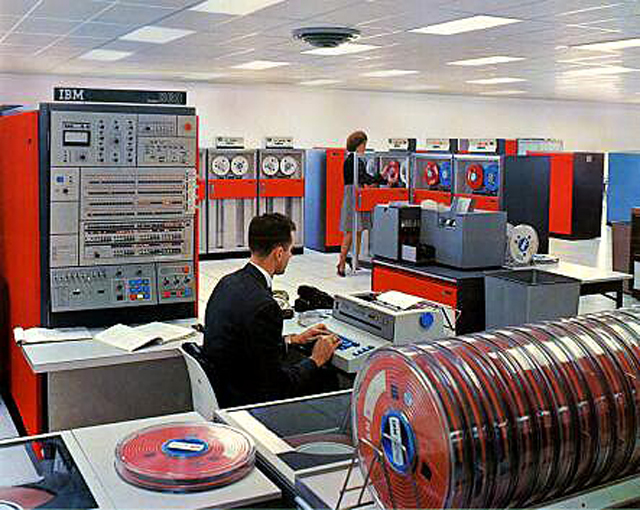 My father, a civil engineer, had gone into teaching, at Arizona State, because they had one of only seven IBM 704 computers in the country at that time. The 704 was a vacuum tube machine that took up nearly half of one building on campus, and had an 8K memory. I can still remember standing there, and watching the tape reels move. Dad fell in love with teaching, and computers, and stayed on in the job for years. He not only taught engineering, he also taught computer programming. One day, he gave me a Dictaphone recording of a computer singing “Daisy.” I took it to kindergarten for show and tell. I can still hear those kids in my class laughing along with me to the computer’s slow, monotonous singing. 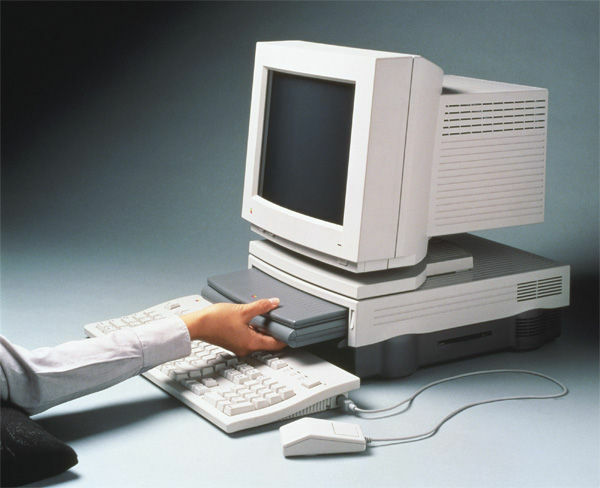 It was the first time any of us had ever heard a computer’s voice. After I graduated from high school, my dad became Dean of Engineering at the University of Akron. There, two of his department heads asked him to buy a computer for the college, so my dad lined up a test for three different machines – each priced at more than a quarter-million dollars – and gave them what he considered a relatively simple graphics problem, and the formulas they would need to complete the job. Thanks for the trip down memory lane, Leigh. Thank you, Dixon! They are addictive machines. I first got absorbed in software after a girl broke my heart my sophomore year. There's probably a witty aphorism here, but if so, I'm not touching it. Thanks you Leigh for your touching memorial to Steve Jobs. He has touched so many people around the world. Great article! And RIP, Steve Jobs. Do writers write to market trends? Should they? The Smoking Gun -- Sort of . . .